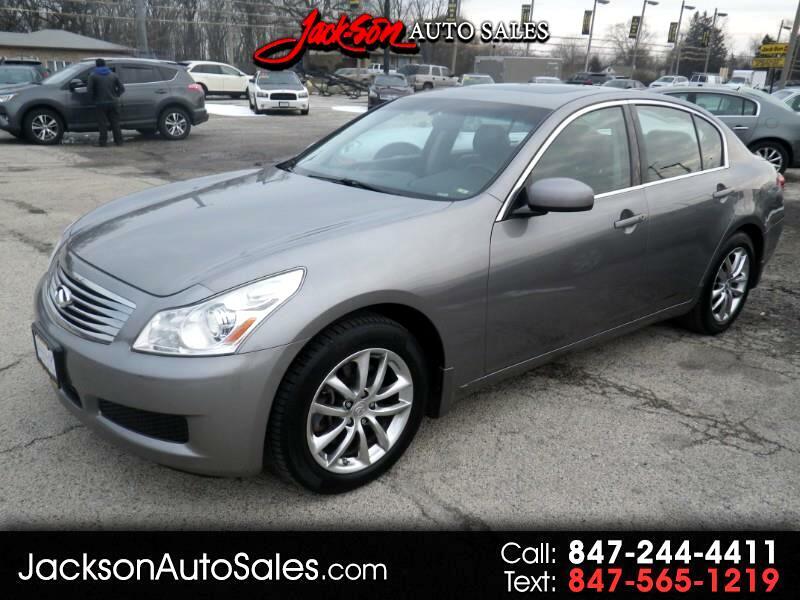 2008 Infiniti G35X AWD 4-dr sedan. This G35X is one stylish and great looking luxury sedan. The gray exterior and black leather interior are in excellent shape. The G35X is the perfect blend of power and luxury with it's AWD and countless power options this luxury sedan is sure to please and be one of the safest on the road! If you are looking for stylish yet affordable luxury sedan this is the one for you! Come see it today!